The AMA has just ruled Damon Buckmaster's R7/R1 illegal to compete in Formula Xtreme. 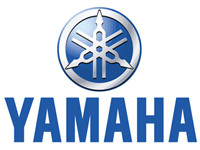 It's a shame Yamaha has to CHEAT to compete with Suzuki and Honda. 23-May-02 mrstooge1.aol.com - They just didn't compete, they dominated. And what the AMA is doing now that the year is nearly half over is B.S. If they were going to deem it illegal, they should have done it when the first protest was made. This way Graves Motorsports wouldn't have spent so much money and time developing an illegal bike. The AMA is continuing with their unbelievably stupid ways of running their business. 23-May-02 dave.speedzilla.com - Yamaha wasn't cheating, the AMA changed their mind about what is and isn't legal in the class. Graves may have had an advantage, but it WAS legal until now. 23-May-02 sinister988.juno.com - I just used the word "cheat" to fire up all of the Yamaha fans out there. Here's my take. If you're gonna race an R7, race an R7. If you want an R1, use an R1. If they took an R7 and bored and stroked it out to 1000cc, fine. You guys are right, the AMA is the one who screwed up. It is funny how at first Graves was against the R7/R1 competing in 2000 then changed their mind while Attack was in favor of the R7/R1 hybrid then flipped. It doesn't really matter since Formula Xtreme will be gone in a year or two anyway. 23-May-02 j200pruf.yahoo.com - just to let you know they didn't bore/stroke the 750 motor to 1000, that is a R1 motor. I really hope that the AMA won't do away with FE, but knowing how firggin stupid they will. But this is the way superbieks will go eventually. 750's are dying. 23-May-02 sinister988.juno.com - I know they didn't bore out an R7 motor, I was saying IF they did, it would have been ok IMHO. Actually, the main problem was that the R7 isn't sold to the public as a street bike in the US. So even that would have been illegal too. I just don't like the idea of "engine from one bike, frame from another" in a street bike based series. I just wonder what will happen to all of those FX machines. Yard sale?? 30-Jun-02 j200pruf.yahoo.com - I am pretty sure that chuck took the already built motors and put them in the new FX bikes, and isn't funny that Bucky was in 1st or second, with the new bike that Graves racing put together in a week. 08-May-02 maximodiaz.entelchile.net - that´s nice!!!!!! 06-May-02 takahiroarai2000.yahoo.com - DA MAN! 29-Nov-05 motogpslider.yahoo.com - Beautiful machine! 07-Feb-02 maarten_donders.hotmail.com - Great work, you just keep getting better and better. 07-Feb-02 exup92.hotmail.com - Like I said, man, this is by far your best yet! 26-Feb-02 ntrcptr.swbell.net - Way cool. 07-Feb-02 maximodiaz.entelchile.net - ¡¡¡ I hate this games pictures !!! 26-Apr-02 takahiroarai2000.yahoo.com - Is this an actual game, if so what and for which system? 10-Jan-02 kelone_nospam.yahoo.com - this needs to stop. I know people are tired of seeing images from this game, so i decided to post it. If you no like, you no vote, you no look. 31-Dec-01 army25.hotmail.com - I no see, i no vote, i no look, you no know i no see so you no like what i no kno. And a cherry on top. 01-Jan-02 gixxergeoff.hotmail.com - that haga is always playing around. Here is a pic of me and Haga-san. This one is taken when he visited Yamaha headquarters in Holland for the Dutch TT this year. Always nice to have a pic like this ( well for me it is....). 19-Dec-01 masrapido.ozu.es - yes, It´s cool! 19-Dec-01 STATTY.MSN.COM - Haga...the man is a PIMP!!!!!!!!!!! 02-Feb-05 mquispel.hotmail.com - And HAGA is back on YAMAHA in the superbikes this season (2005)!